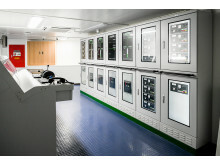 KONGSBERG simulators installed on T/S SEGERO training ship. All images available for download below. 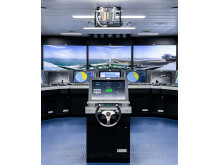 Asker, March 28, 2019 – Instructors and students from the Korea Maritime and Ocean University (KMOU) and Mokpo National Maritime University (MMU) will be the first to engage with a unique new approach to maritime simulation and training with the delivery of a full suite of Kongsberg Digital simulator systems to the T/S SEGERO and T/S HANNARA, two identical training ships with a length of 133m and a beam of 19m. 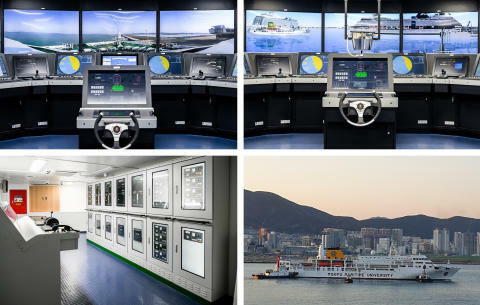 KDI’s K-Sim simulator technology has set the benchmark for comprehensive instruction on a broad range of maritime workstations, procedures and scenarios via immersively lifelike exercises under safe and controlled conditions; and in this instance the K-Sim Navigation, K-Sim Engine and K-Sim Cargo simulators are actually installed on board the twin 133m vessels. 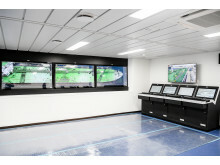 The K-Sim Navigation bridge will be installed in a room behind the vessels’ real bridge and will be configured to project either simulated sailing areas based on new Korean database models or the real view from the actual bridge, via onboard CCTV cameras, with data from real sensors on board. By this means, students on the simulator bridge will have access to the exact same view as students on the real bridge, so that real-time situations can be discussed back and forth, and performance indicators can be compared. 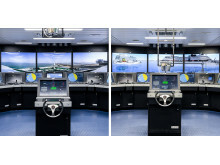 “The onboard simulators on these vessels introduce a whole new degree of realism,” says Mark Stuart Treen, Vice President Sales, Kongsberg Digital. 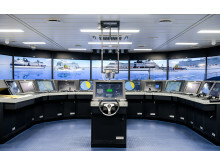 “Instructors will be able to make clear, informed assessments and fine-tune simulator exercises as they see fit, while students will be able to access real-time vessel data and apply it to training routines in the virtual realm before moving forward to the main bridge and restaging operations with the actual ship. 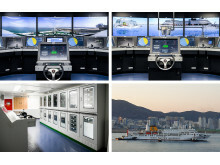 Kongsberg Digital is a provider of next-generation software and digital solutions to customers within maritime, oil and gas, and renewables and utilities. 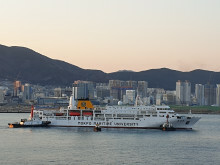 The company consists of more than 500 software experts with leading competence within the internet of things, smart data, artificial intelligence, maritime simulation, automation and autonomous operations. Kongsberg Digital is one of three business areas of KONGSBERG, an international, knowledge-based group delivering high technology systems and solutions to clients within the oil and gas industry, merchant marine, defense and aerospace, renewable energy and the utility industry. KONGSBERG has 7,000 employees located in more than 25 countries and total revenues of NOK 14.5 billion in 2017. Follow us on Twitter: @kongsbergasa.